While it seemed like a miracle that Jon and I were able to record the last episode with Logic, it turned out to be too good to be true, as the Mojave issue of only supporting two mics at once persists, even on this new hardware. It took some doing, but we got Audacity talking to my interface as a work-around, the way we were doing on the old computer. At first, it was just crashing every time I hit record, which is something I’d never seen Audacity to before. But we got it straightened out. 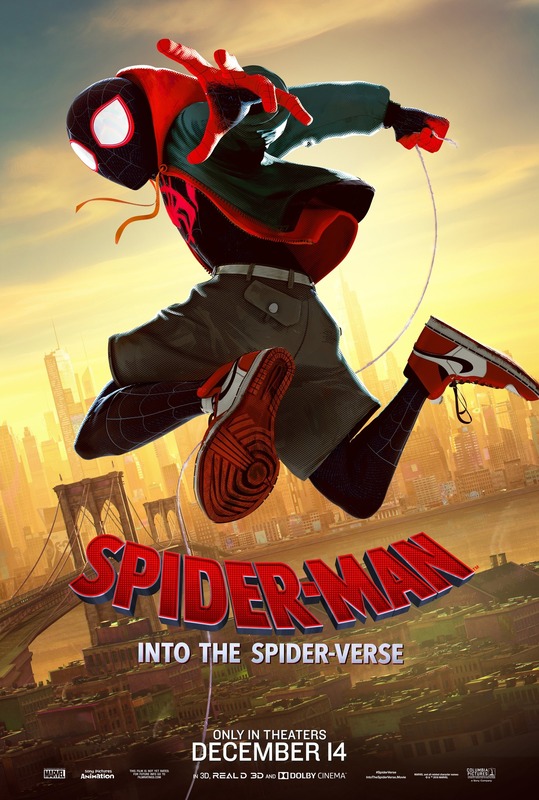 Spider-Verse was a pleasant surprise for all of us, I think. Not that we didn’t expect it to be good, but rather that none of us could have predicted just how good it was going to be. I was particularly excited to see Miles Morales finally get the film he deserves. While I was excited from the first trailer, I did feel he’d been done a disservice by being kept out of the MCU when Marvel and Sony were re-rebooting the franchise, but now I think it’s clear that he’s had a better outing on-screen than Peter Parker has had, possibly ever. I’ve loved Miles for years (aNd I hAvE a FiRsT aPpEaRaNcE iN uLtImAtE fAlLoUt No. 4 tO pRoVe It) and it was such a treat to see him star in a truly wonderful film. It’s not just a standout among comic films; it’s a standout among animation films. It is a new benchmark in what can be expected of CG animated films. Speaking of superhero movies, Jon and I are going to see a sneak peak of a certain mighty mortal tomorrow…stay tuned! Thanks for stopping over to the blog. We’d love it if you shared the show with your friends if you like what we do. You can follow us on Twitter @GBUpodcast, and you can get in touch with us there, or by e-mailing me at Brian@candidpodcast.com. Don’t forget to rate and review the podcast on your podcatcher of choice if you can, like Apple Podcasts, but don’t forget you can find the show all over the place, including Spotify and Stitcher.